Michael Sam was the first openly gay player to be drafted into the National Football League. According to Out Magazine, after coming out in an interview with ESPN in 2014, Sam fell 70 spots on the CBS draft board. Despite the backlash from the community and sports world he received, Sam was drafted in the seventh round by the St. Louis Rams — he and his boyfriend were broadcasted sharing a passionate kiss in celebration. Sam is an example of the complex contention and celebration included in the intersection of identity for queer athletes. Being openly gay to the public has continued to be a conflict with which many queer-identifying athletes struggle. Whether that public is defined by wider football-watching communities or a Division III liberal arts college, intersections of identity are still affected. According to Kitty Lu (sophomore), the discontinuation of Occidental’s Queer-Straight Alliance (QSA) in Fall 2017, the alleged sexual orientation-related harassment of Occidental’s former athletic director this past summer and the claims of Occidental soccer fans throwing gay slurs at opposing teams all contributed to the complex climate of queer-inclusivity at Occidental. In the midst of this, many queer student-athletes found themselves turning to the one solid platform on which they’ve found refuge for years: sports. 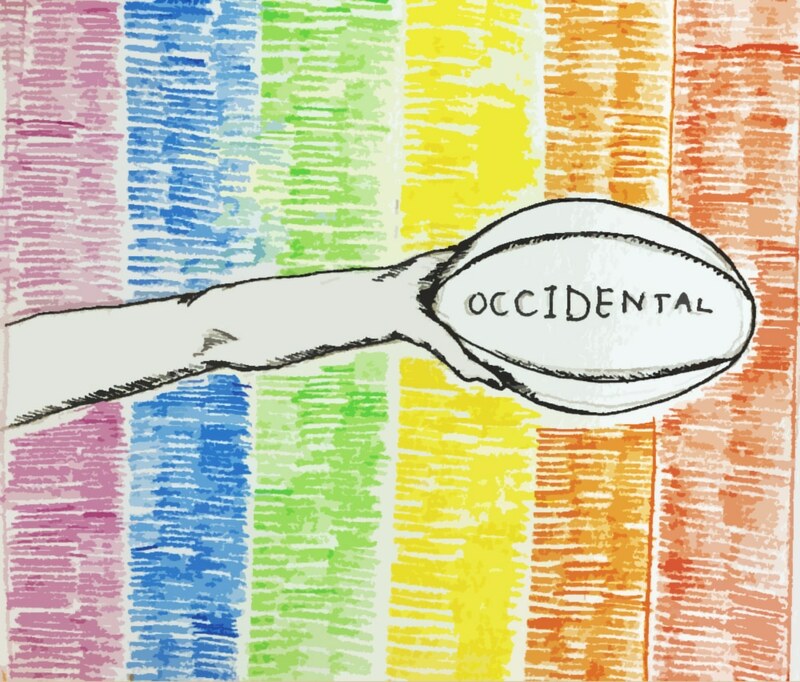 Lu, match secretary for the Occidental women’s rugby team, said the new concept of coming out focuses on informality, replacing dramatic declarations of sexual orientation. 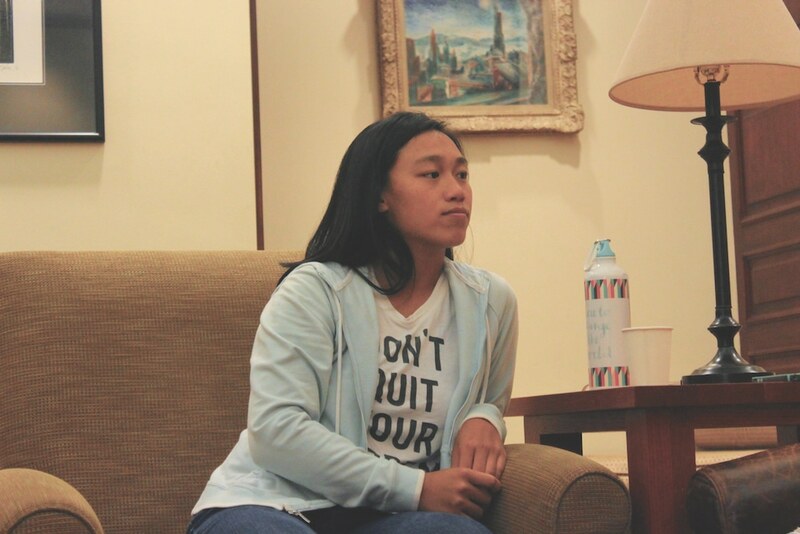 Kitty Lu (sophomore) left, speaking to The Occidental about her experience being Queer and participating in athletics at Occidental College in Los Angeles, on Friday, Sept. 21, 2018. Victoria Winter/ The Occidental. Margery Wilson (junior) played on the women’s basketball team for two years and now plays rugby. She echoed Lu’s sentiment, agreeing that coming out carries much less weight now. “There wasn’t really a coming out moment for me. It’s definitely more casual here, and if someone drops you, then who cares?” Wilson said. 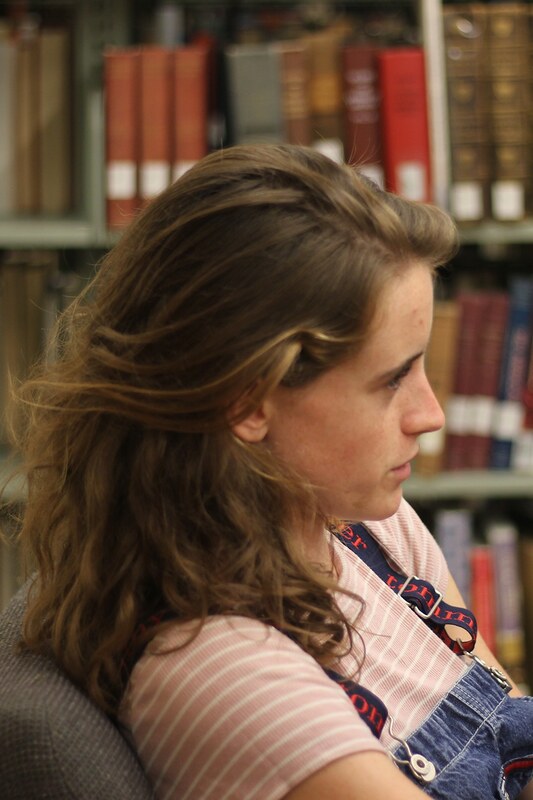 Zoe Campbell (first year) said that through her experience playing both basketball and tennis, she has not found a need to officially come out to her teammates, mostly because of Occidental’s extensive queer community. “I haven’t been like, ‘Alright, announcement time!‘ Just because I feel like so many people here are [queer], so there’s no need for it,” Campbell said. 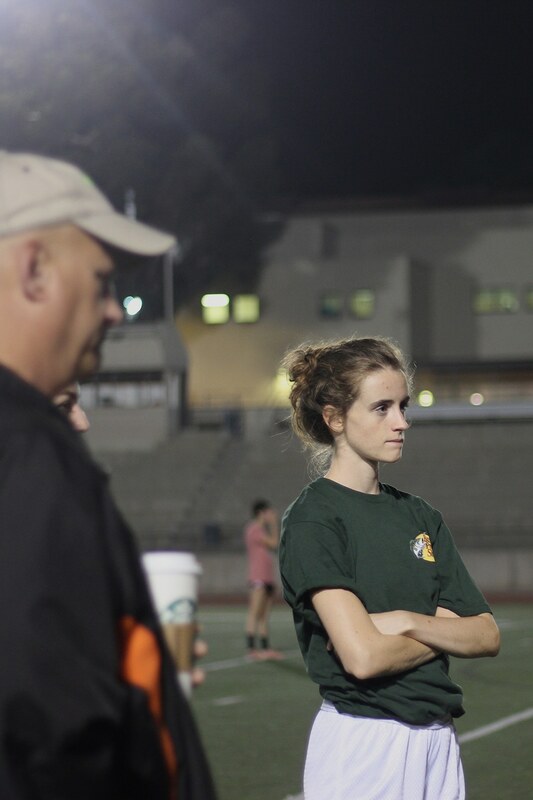 Christopher Rom-Toribio (senior), who was the running back on Occidental’s football team for two years and ran for Occidental’s track team for four, agreed that coming out was less of an issue than he predicted. According to Lu, the changing demographics and times have normalized coming out, but progress is far from over. “The narrative has changed, and we need to accommodate that changing narrative until no one should have to come out. That’s my whole philosophy — my ultimate wish for the queer community is that straight shouldn’t be the norm anymore,” Lu said. The common stereotypes in athletics, according to Campbell, change depending on the sport an athlete plays, yet remain completely arbitrary and unsubstantiated. “It’s so stupid that it has to be funny. The stereotype for tennis players is that everyone is straight, tall, blond and rich. For basketball, the stereotype is that you’re super muscular, very tomboyish and gay. It’s a little frustrating, not going to lie, just because that stereotype is everywhere,” Campbell said. According to Rom-Toribio, football especially exemplifies many stereotypes. Christopher Rom-Toribio (senior) speaking to The Occidental about his experience as a queer athlete at Occidental College in Los Angeles, on Monday, Oct. 1, 2018. Victoria Winter/ The Occidental. “The uber-masculine dumb jock is the most prevalent stereotype, the one who just plays football and doesn’t focus on school. But I went to a prestigious school, one where it was enforced that all student-athletes were focused on maintaining their GPA, so that stereotype didn’t actually happen as much,” Rom-Toribio said. Lu said the intersections of being a queer female athlete inherently come with stigmas and stereotypes. Especially when these students fit the stereotypes, as Lu describes herself, it can be difficult to shake the negative connotations and assumptions of being a queer athlete. According to Lu, it is commonly perceived that rugby players are all somewhere on the queer spectrum, which creates frustration during recruitment about the assumptions of rugby players. “I don’t go up to people and go, ‘You’re gay! Let’s go play rugby!’ I say ‘Play rugby!’ to anyone, it doesn’t matter,” Lu said. Wilson emphasized this frustration and condemned stereotypes, especially as it concerns newly out queer athletes who have yet to find complete comfort with their sexuality. “It definitely doesn’t help to have those stereotypes around you, especially if you don’t feel comfortable at all. You don’t want it to necessarily be true, because it’s projected onto you as a negative,” Wilson said. According to Lu, the lack of support for the general queer community after QSA dismantled last year contributed to the current unsettled state of the athletic department, leaving queer athletes to seek support within their own teams. “[Rugby] is a really nice environment. People just accept you because on the field, we’re all rugby players. It’s all that matters,” Lu said. Wilson agreed that often the most helpful support comes from surrounding herself with people similar to her. According to Campbell, the extensive queer community is especially unique to Occidental. “I don’t think I’ve met so many [queer] people in one area that wasn’t at a pride parade,” Campbell said. Wilson and Lu shared a feeling of responsibility to provide support for the underclassmen specifically, especially those struggling to cement or accept their sexual identity. “I can see myself as an advocate for my teammates who are kinda discovering themselves. I enjoy being the person who’s been through that pain and confusion and is able to lead people,” Lu said. According to Rom-Toribio, on his high school football team, this kind of advocacy was hard to find. In fact, according to him, the space of the locker room was a hub of intolerance and anti-gay bias. Rom-Toribio said this locker-room talk allowed for his misogynistic or homophobic teammates to feel safe in the same space that he felt most uncomfortable. According to Lu, negativity towards someone’s sexuality manifests in many ways — including through a student’s familial traditional thought. Lu, who is Chinese, Cambodian and Vietnamese, and whose mother and extended family grew up in Vietnam, said the intersection of traditional thought among the Chinese, Cambodian and Vietnamese cultures is often at odds with her aspirations as a student-athlete. “My family doesn’t want me to play sports because they don’t want me to be around ‘those people’ — meaning, they don’t want me to ‘become’ gay. That’s not how that works, I’m already gay.” Lu said. According to Rom-Toribio, who also identifies as a person of color with a familial background from the Philippines, the men in his family often valued the concept of masculinity as an athlete more than his identity as a gay man. “I had a lot of issues with very traditional family members who were not very accepting. Most of them were men. All of them were men, actually. One of my uncles didn’t want me to be affectionate around my significant other because he doesn’t want his family to be effeminate,” Rom-Toribio said. Ultimately, Lu said, it’s not the harmless stereotypical joke about being a gay athlete that gets to her — it’s when that stereotype evolves into innate bias against queer women that it becomes dangerous. “You shouldn’t put rugby in a negative position simply because of how you view gay people. Just because you’re homophobic doesn’t mean rugby is a bad sport. That’s when I get frustrated: when people take someone’s sexual identity and try to tie it to other factors so they can label someone as bad,” Lu said. In 1981, when tennis legend and current gay rights activist Billie Jean King became one of the first athletes to be publicly “outed” as queer, she lost all of her endorsements within 24 hours, according to USA Today. According to Lu, the time for ashamed coming out stories and repercussions like those King experienced in athletics is close to being over, due to the public moving towards a common understanding of the separation of an athlete’s sexual orientation from their physical capabilities. “Nowadays [coming out] is more of an empowering move. Now everyone’s super supportive when strong athletes come out as gay, but it used to be that athletes would lose all their sponsorships and all their fans would leave,” Lu said. Campbell said that playing a sport helped with the acceptance of her own sexual identity and that the basketball team supported her coming out process. “When everything is very unclear, it’s helpful to take two or three hours out of your day to just focus on something you know you’re good at, that’s removed from everything else,” Campbell said. According to Lu, playing a particularly physical sport is the main contributor to empowerment and confidence, especially as a queer woman. “Being in control of your body and being aggressive in the way you want to be is what’s so empowering about sports. Society has typically told women to be soft and gentle, whereas sports is the complete opposite, pushing people to be aggressive and be competitive,” Lu said. Rom-Toribio agreed that coming out, especially in football, is a source of empowerment. According to Rom-Toribio, although an athlete’s capabilities should not determine their level of acceptance from the public, it definitely doesn’t hinder this empowerment, if the athlete excels in their sport. “When you can do it and you’re not like the other people and people hate — or, don’t like it — when someone is different, it does give you that extra bit of confidence when people don’t believe in you,” Rom-Toribio said. Although sports can be closely tied with a queer athlete’s self-acceptance, according to Campbell, the athlete’s identity shouldn’t depend on it. “Basketball did help my transition into accepting who I was because I knew people who are [queer] that didn’t let that define them. It’s just a bullet point of who I am,” Campbell said. 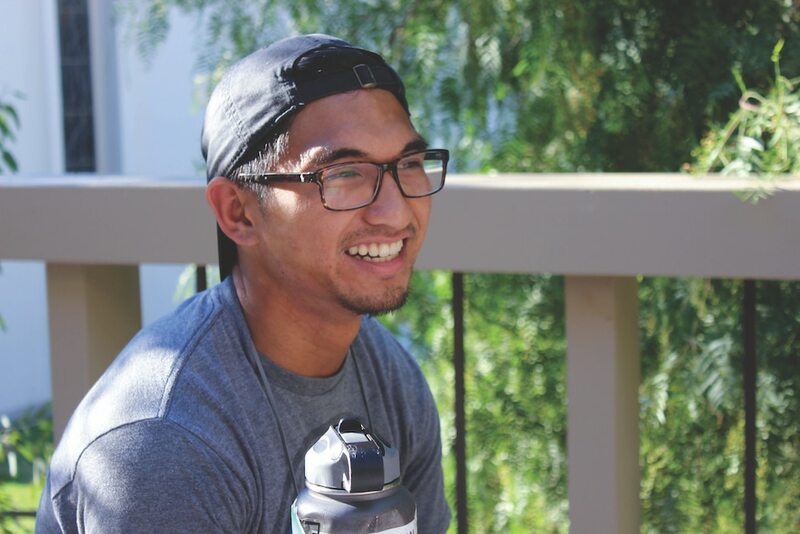 Rom-Toribio values all the different parts of his identity, but holds more of a connection to his identity as a student-athlete. “I do hold a lot of value in my identity as a gay man, and I still value that Filipino heritage that I have, I just don’t feel as connected to it. But I do say ‘I am an athlete’ with an extra sense of pride when I talk to people, just because I feel like they know what it takes,” Rom-Toribio said. According to Lu, her identity is more than the sum of her parts — whether those parts be her sexual orientation or her athletic pursuits. The same goes for rugby. Campbell said that although accepting the bisexual label gave her support from the queer community, it also has the power to alienate. Labeling herself with her sport, however, has never done that. According to Lu, there is one thing that all queer student-athletes can identify with: straight up badassery.